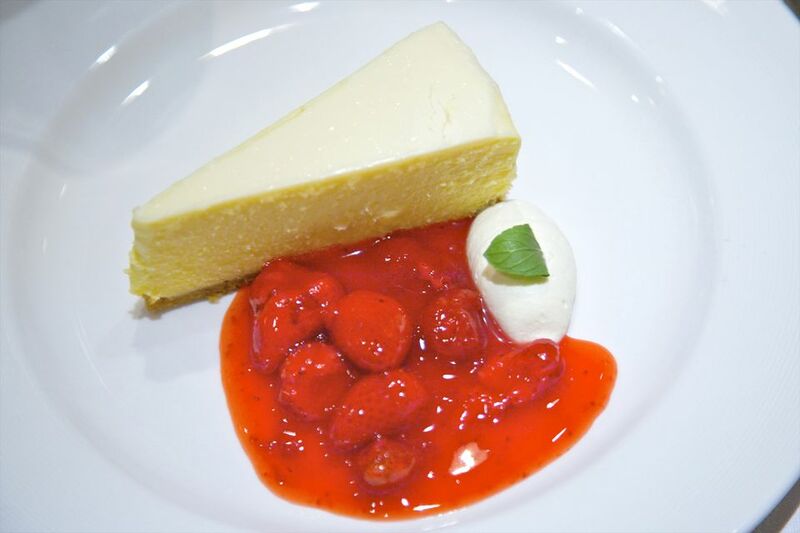 New York style cheesecake is always popular. Made with cream cheese, sweetened condensed milk, and a fresh strawberry garnish this NY cheesecake is sure to please a crowd. Preheat oven to 325 F (165 C/Gas Mark 3). Combine crust ingredients and press into bottom of a 9-inch springform pan. In a large mixing bowl, beat cream cheese until fluffy. Gradually add condensed milk; beat until smooth. Add flour, eggs, and vanilla; beat until well blended. Pour into prepared crust. Wrap the bottom of the springform pan in heavy-duty foil; place the pan in a shallow baking pan, such as a jelly roll pan. Put the pans in the oven and add about 2 cups of hot water to the shallow baking pan, or a depth of about 1/2 inch. Bake for 1 hour, or until lightly browned. The cheesecake will be just slightly jiggly in the center. Cool. Chill and garnish with dollops of whipped cream and fresh sliced strawberries.